A spec list supposedly relating to an upcoming BlackBerry 10 handset known as the BlackBerry Laguna handset has been posted on a 'berry fan site and reveals a rather tasty sounding display. It's a 4.2-inch handset toting 1280x768 resolution with 355 DPI which, on paper at least, gives Apple's iPhone 5 a run for its 1136x604 326 DPI money. As well as the resolutionary screen, the Laguna supposedly features a dual-core Qualcomm Snapdragon S4 processor, 4G/LTE connectivity, an 8MP autofocusing camera with flash and 1GB of RAM. There's also talk of NFC capability, DLNA, Wi-Fi direct and Bluetooth 2.1 connectivity. When it comes to software, the handset is said to come running BlackBerry 10 OS, although it's referred to as Superphone/QNX OS here, which is a really old way to refer to it. That sets alarm bells ringing in our minds. The spec-showing slide apparently comes from US network Verizon, although we're not sure exactly where it came from or how much we really and truly believe what it says. Still, we've heard before that the Laguna will be coming to Verizon, so you never do know. Also in BlackBerry's upcoming 'L Series' is the BlackBerry London, which promises a dual-core processor and 1GB of RAM; it's not much to go on but it could potentially be the international variant of this mysterious Laguna. 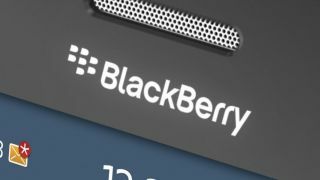 Unfortunately, it'll be a while before we know for sure; BlackBerry 10 handsets aren't due to hit the shelves until the first quarter of 2013.